Static Free™ Hand Guard™ penetrates deeply to moisten and refresh dry, irritated skin exposed to heat, abrasives, or harsh chemicals. Static Free™ Hand Guard™ is specially formulated for electronic technicians to use as a non-contaminating hand and body lotion. 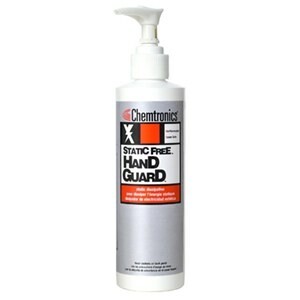 It reduces static build-up on hands while preventing harmful electrostatic discharge during the handling of sensitive devices. 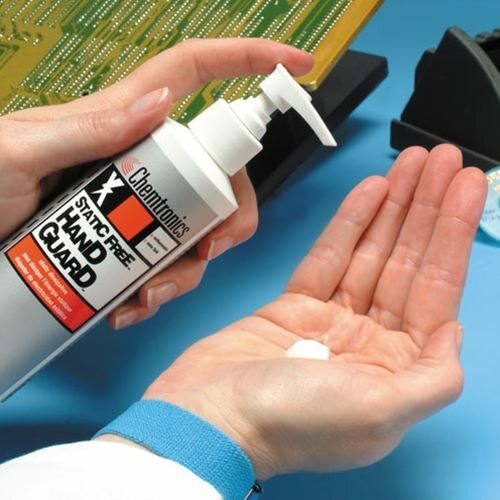 Static Free™ Hand Guard™ quickly soothes and protects tender, chapped or irritated skin without the use of lanolin, silicone, or mineral oils that may inhibit solderability of printed circuits and components.